Rosary International Boarding School is located in Nalasopara near the foot-hills of Mountains. Its 30 mintues drive from Mumbai and well connected to Mumbai by Local train and Western Express Highway. The climate is pleasant and environment is free of pollution. 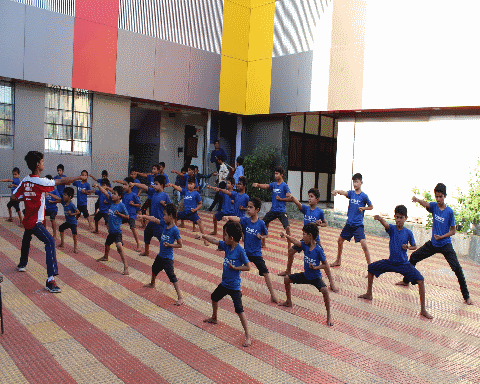 School is run by Omkar Charitable Trust and is affiliated to Maharashtra State Board. The school is a boys only school. School has best in class Boarding and food facilities. School has spacious class rooms with Projectors and Cameras. School a full-fledged library, Laboratory, Advanced computer lab. School runs various co-curricular activities like Karate, Table Tennis, Basket Ball, Badminton, Cricket, Yoga, Pool table etc. for over all development of students. In addition to brilliant blue skies, sunshine, cool and clean air. School has the advantage of modern technology and is on-line and connected to internet. Staying in hostel is a unique experience and we at The Rosary International School believe that the best possible environment and resources should be provided to the students, so that they can blend themselves and carve out their future paths. Rosary is one of the most affordable and value for money boarding schools in Maharashtra. This is most affordable boarding school in and around Mumbai. School provide a friendly environment and students are thought with self motivated advanced learning techniques. We try and provide a home-like environment for students with home-like food. Our staff is well-trained to make sure every student feels home-like and pampered. Students are allowed to visit home on weekends and long weekends. This provide them a well-balanced boarding and home environment. Parents are allowed to meet and talk to their child on weekend.